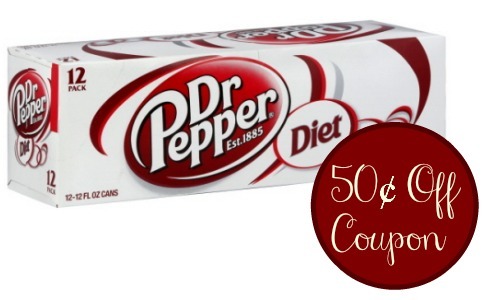 There is a rare coupon available for 50¢ off Diet Dr. Pepper cans that you won’t want to miss! This coupon is valid on 12-pack cans and any flavor, plus it doesn’t expire until 6/15! Note that this coupon does print with the Walmart logo but you can use it anywhere. There are a few sales available or wait for a great upcoming sale.